The holiday season can be stressful with all of the parties, recipes, presents to wrap, and seasonal activities for the kids! Despite that, I love nothing more than entertaining during the holidays. We love hosting get togethers and parties; spending time with family and friends is a must for everyone in our family. 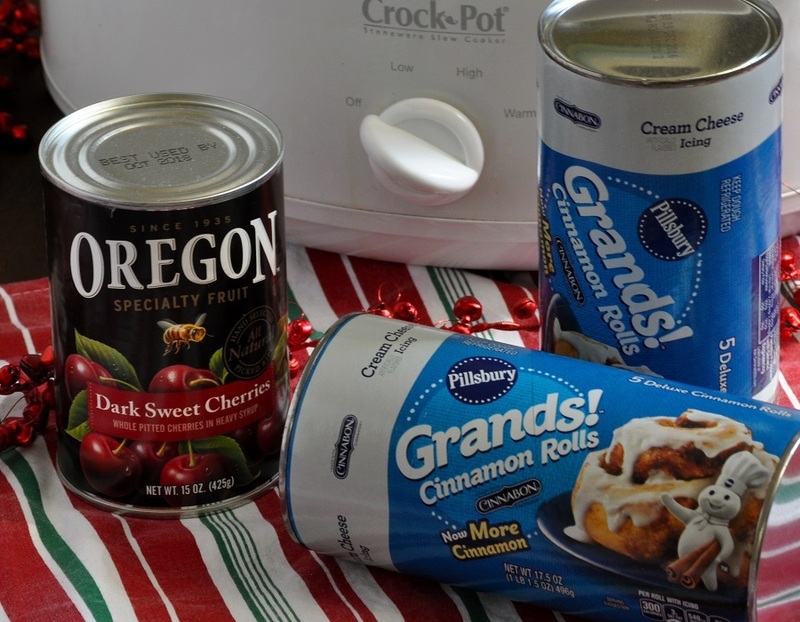 One of the ways I balance delicious recipes with time saving efforts is by using Pillsbury baking products! 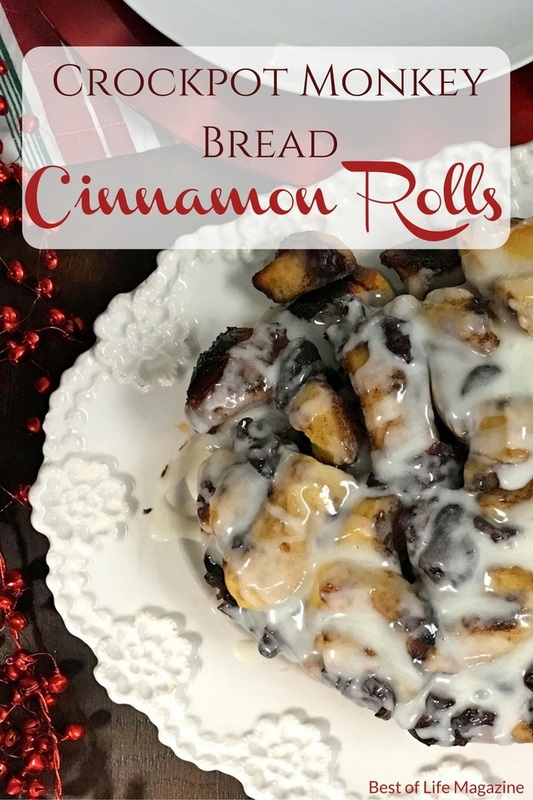 Just like these Crockpot Monkey Bread Cinnamon Rolls, Pillsbury products cut down on my time in the kitchen so I can spend those important moments with my family, friends, and loved ones! 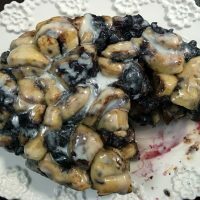 Crockpot monkey bread cinnamon rolls with cherries are easy to make in the crockpot for a fun breakfast treat or during any gathering. 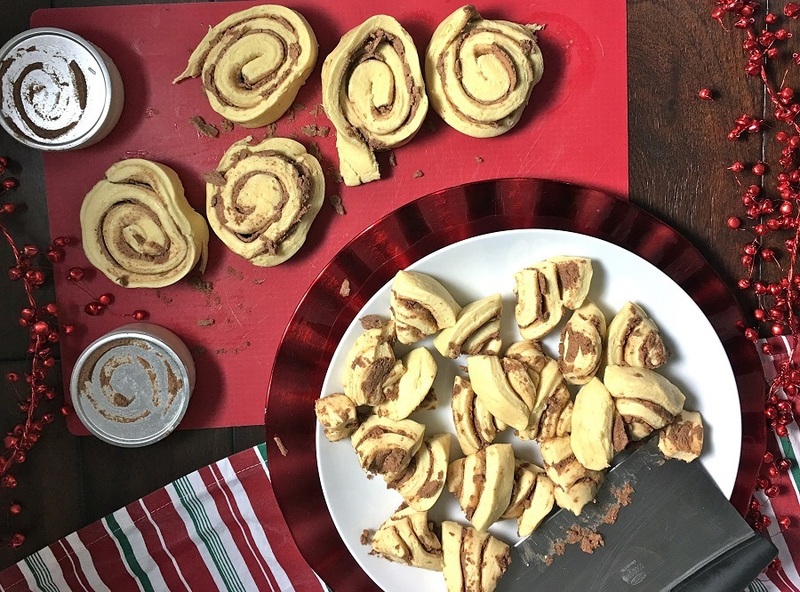 The Pillsbury Grands Cinnamon Rolls are the perfect platform for this recipe. They’re fast baking, easy to prepare, and they can be picked up almost anywhere. I love that when the last minute event pops up I can throw this recipe together in no time at all. Making quick and easy desserts for the holidays is easier than ever with the help of a consistent, delicious, product. I never have to worry if these will turn out right or be a hit, that’s a given! There are some recipes that seem like they require a lot of different ingredients. 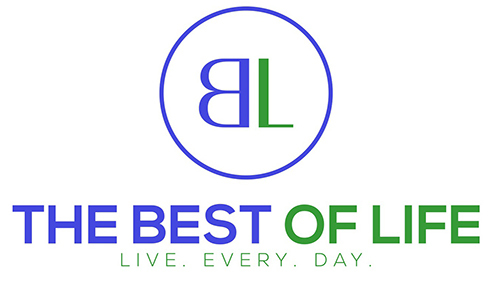 Those recipes exist, there are dishes you can make that look like a lot of work and are a lot of work. 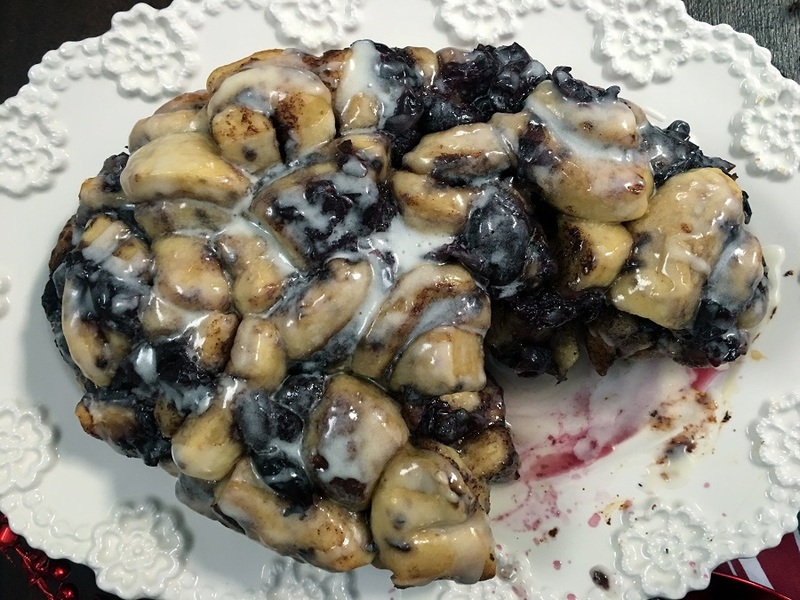 But then there are other dishes like this crockpot monkey bread recipe. It looks more complicated than it is. 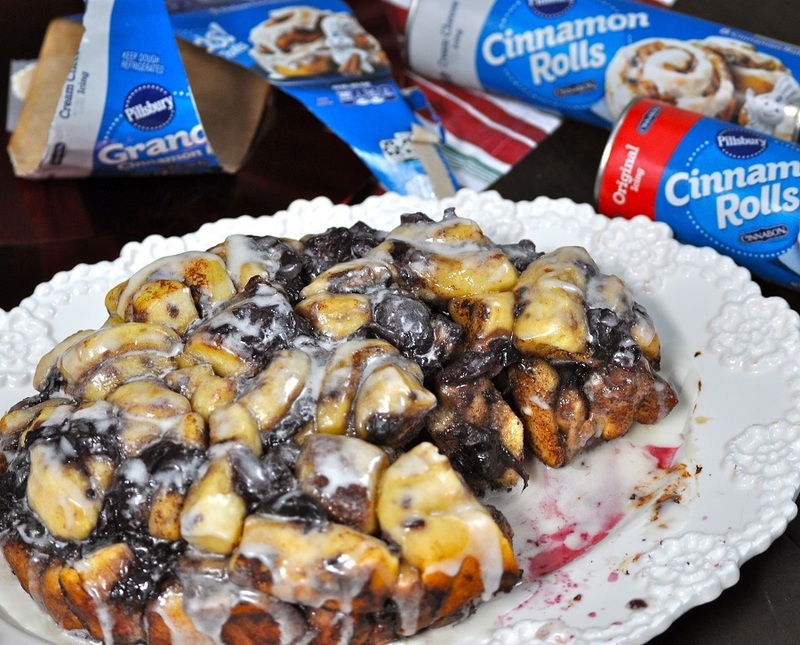 In fact, all you need to make this recipe is a couple of cans of Pillsbury Grands Cinnamon Rolls and a can of sweet dark cherries. 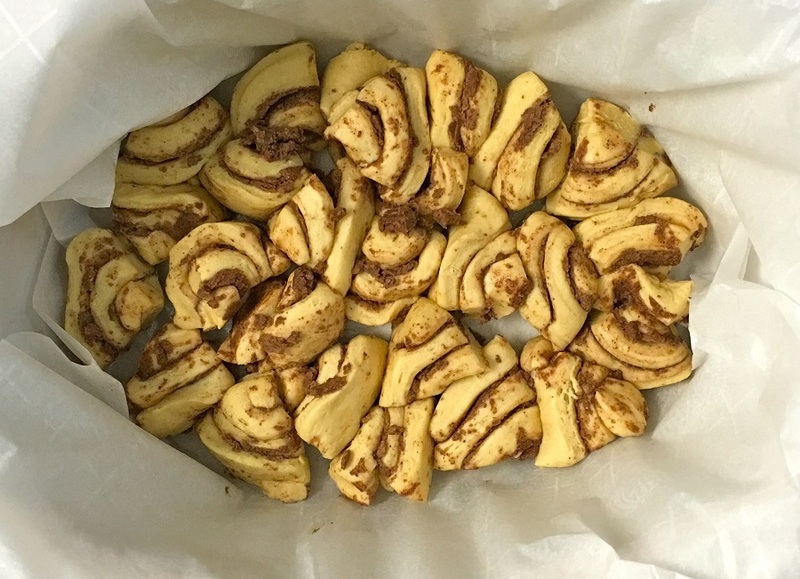 Open each can of cinnamon rolls. Reserve the icing. Cut each roll into 4 pieces. Cover crock pot with parchment paper and spray nonstick cooking spray. Place the dough pieces on the bottom of the crock pot to create a layer. 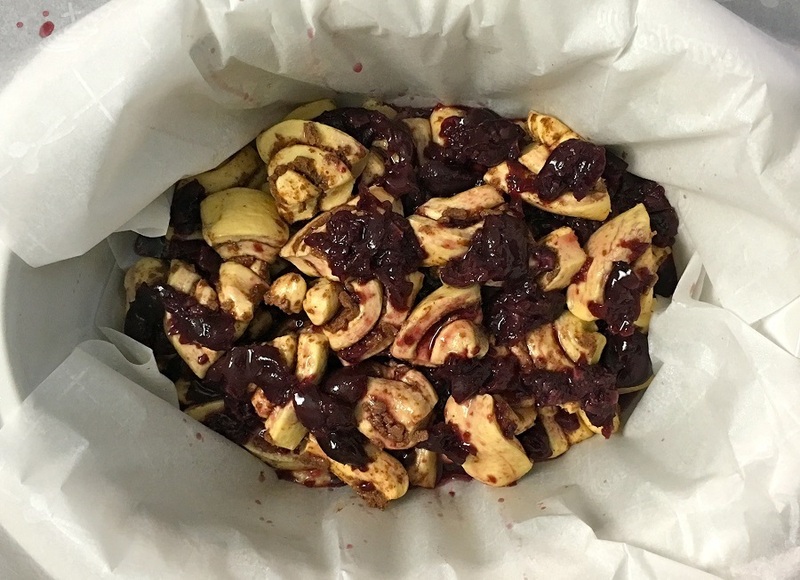 Pour the dark sweet cherries into a small bowl and mash gently with a potato masher to create small pieces of cherries. Pour or spoon 1/2 of the cherry mixture onto the first layer of cinnamon roll pieces. Layer the remaining dough pieces on top of the first layer and spoon or pour the remaining cherry mixture on the dough. Cover crock pot and cook on high for about 2 hours. 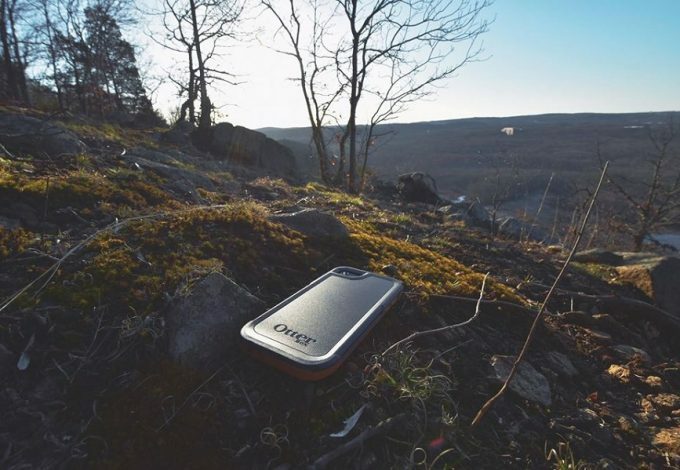 (check it at the hour, then again at one and a half hours, just to be safe.) The edges will start to brown, and dough will rise when done. Each crock pot will cook at a different rate so keep an eye on it. When done turn off crock pot and let it cool for about 5 minutes. Remove and place on platter. Drizzle the icing that came with the rolls over the top of the monkey bread. I hope you and your guests enjoy this delicious Crockpot monkey bread recipe! It's not necessary to sacrifice family time to make a delicious dessert everyone will love. 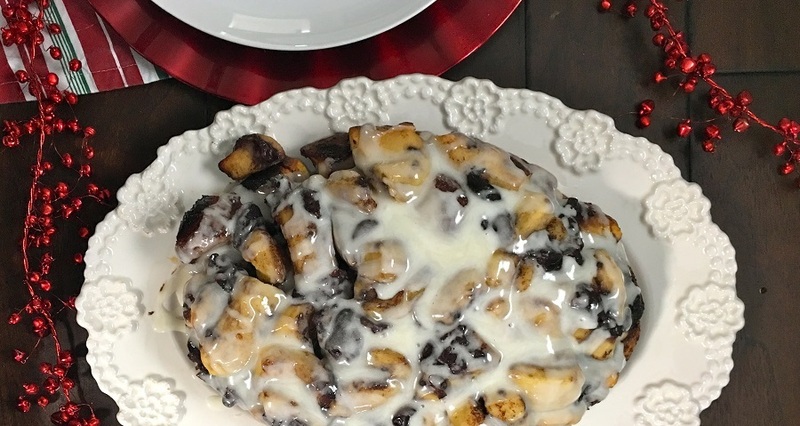 Crockpot monkey bread cinnamon rolls are the perfect dessert! The edges will start to brown, and dough will rise when done. Each crock pot will cook at a different rate so keep an eye on it.